Tokyo and Yokohama, Nagoya, Osaka and Kyoto. These five cities represent the three largest metropolitan areas in Japan. Together, they encompass some of the hottest travel destinations in the country. If you’d like to visit all of these areas on your next visit to Japan, you are in luck. 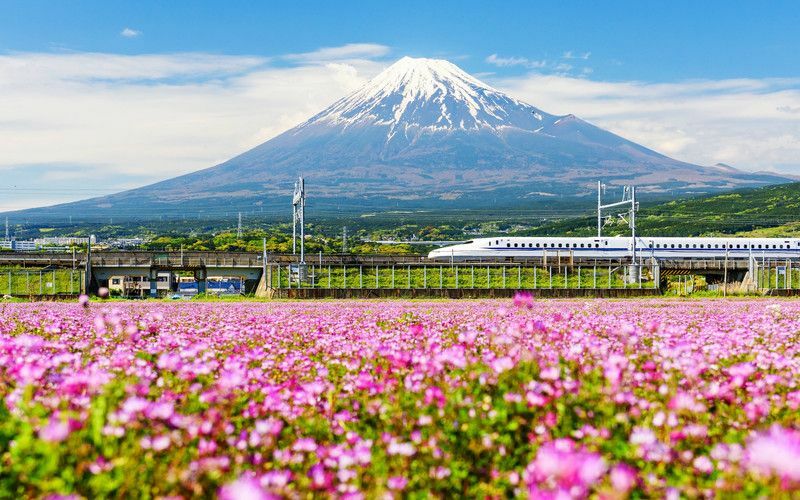 The Tokaido Shinkansen, one of Japan’s famous bullet trains lines, connects these cities, providing you with fast and easy access to the locations you want to see most. The Tokaido Shinkansen line also marks a turning point in railroad history. In 1964, it became the first high-speed rail line in the world. More than half a century later, the Tokaido Shinkansen line remains at the forefront of railway technology. It is also still tied to Japan’s rich history. Did you know? The Tokaido is named after the main road that connected Japan’s former capital of Kyoto with its current capital of Tokyo during the Edo Period. Read on to discover how the Tokaido is still connecting these great cities. What do you need to know to navigate the Tokaido Shinkansen Line? 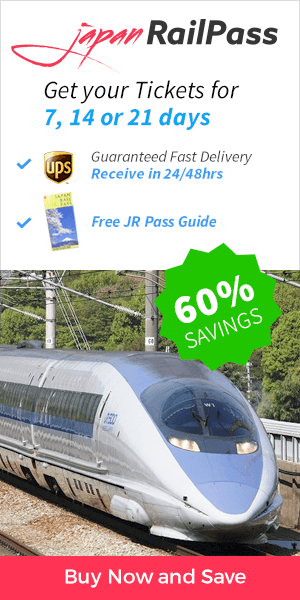 You can do so easily and affordably using the Japan Rail Pass. This handy travel guide is here to help. The Tokaido Shinkansen is the most-used shinkansen line in Japan. Trains depart every few minutes from most stations along the route. These include Tokyo, Shinagawa, Shin-Yokohama, Odawara, Atami, Mishima, Shin-Fuji, Shizuoka, Kakegawa, Hamamatsu, Toyohasi, Mikawa-Anjo, Nagoya, Gifu-Hashima, Maibara, Kyoto, and Shin-Osaka Stations. Three types of trains operate on this Shinkansen Line: Nozomi, Hikari and Kodama. Hikari trains represent the second-fastest option on the Tokaido Line. Hikari trains serve more stations than do Nozomi trains, requiring about three hours of travel time between Tokyo Station and Shin-Osaka Station. Four Hikari trains depart each hour, two in each direction. Departures take place approximately every half hour. Hikari trains stop only at major cities, but these stops differ by train. Be sure to check train schedules carefully to ensure a stop at your intended destination. Kodama Shinkansen trains stop at all stations along the Tokaido Shinkansen Line. The trip from Tokyo Station to Shin-Osaka Station via Kodama train takes about four hours. Four Kodama trains depart each hour, two in each direction. Some Kodama trains operating during the morning and evening rush hours offer only non-reserved seating. From the Kodama trains, you may access famous hot spring towns not serviced by the other train types. The fastest shinkansen of the Tokaido Line. They stop only at major stations along the route, reaching Shin-Osaka Station from Tokyo Station in about two and a half hours. Eight trains depart per hour – four in each direction – with additional trains running during peak hours. Some Nozomi trains continue on beyond the bounds of the Tokaido Line. Nozomi trains are not covered by the JR Pass. When you arrive in Japan, you can activate your JR Pass at any major train station. You may do this at the ticketing counter, where you can also reserve seating on the trains. Whether utilizing reserved or non-reserved seating, have your JR Pass ready to present at the departure gate. Keep in mind that the Nozomi trains are not covered by the JR Pass. Use of Nozomi trains will incur an additional fee. How to go from Tokyo to Yokohama: From Tokyo Station, take the Tokaido Line to Yokohama Station. This trip will take just under half an hour. You may depart for your destination directly from Yokohama Station, or you may transfer to the Negishi Line to Kannai Station to reach the city center. How to go from Tokyo to Nagoya: From Tokyo Station, take the Tokaido-Sanyo Shinkansen to Nagoya Station. This trip will take about two hours. From Nagoya, you will be able to travel to other major attractions, such as the Japanese Alps and the Kii Peninsula. Nagoya is also a gateway to other cities, such as Kyoto and Osaka. The 366 km of rail line from Tokyo to Kyoto represent Japan’s busiest. From Tokyo Station, you can take the Tokaido-Sanyo Shinkansen directly to Kyoto Station. This trip will take approximately two hours and 15 minutes. How to go from Tokyo to Osaka: From Tokyo Station, you can take the Tokaido-Sanyo Shinkansen directly to Shin-Osaka Station. This trip will take just under two and a half hours. Where will your next Japan adventure take you? With your JR Pass in hand, you are ready to explore. Start planning your next trip today. Hi!!! !I flying to Narita on December 13 and would like to visit Kyōto for a couple days between Dec13-15. Then back to Tokyo! Now all I want is a round trip train ticket from Tokyo to Kyōto! Will rather take the Nazomi lines. How long is the ride with NASOMI Express train to Kyōto & can you me a schedule! Plus what is my chances to buy the ticket upon arrival at the Airport. Hi Vilma! Nozomi and Mizuho Shinkansen bullet trains (both reserved and non-reserved) are not included with the JR Pass. However, there are Nozomi and Mizuho alternatives which passengers can access with the JR Pass. Along the Tokaido Shinkansen line, pass holders can catch Hikari and Kodama trains which are slightly less frequent and make more stops than Nozomi and Mizuho trains. Happy travels!